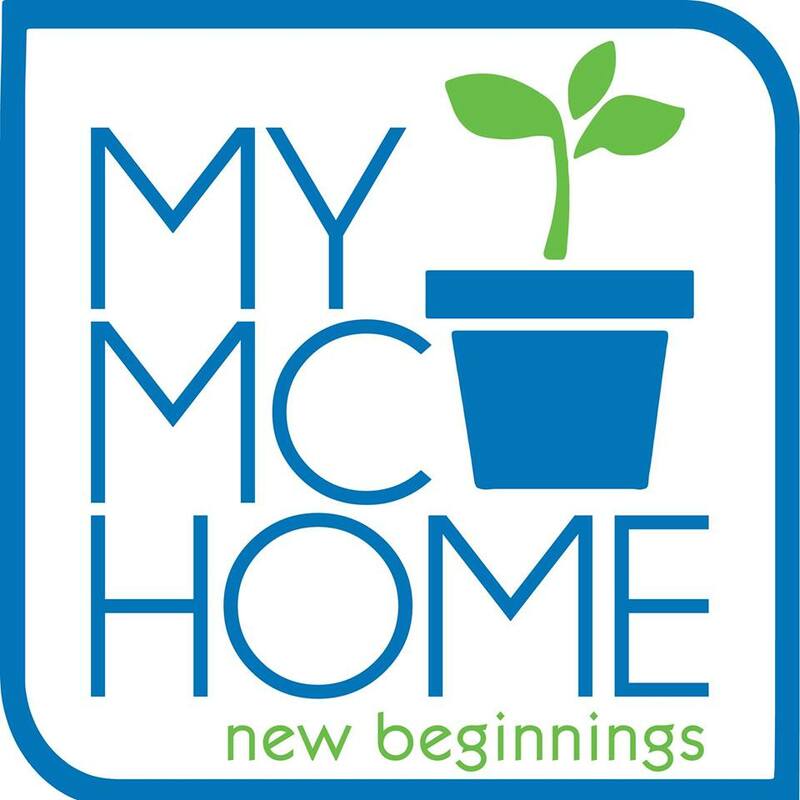 ... because in a few days, our home will be the subject of a photo shoot for Real Living magazine! I've always said that I live in a beautiful home, and the editors seem to agree because they've scheduled the home feature already. But over the long holiday, as I've been busily tidying up, I worry that my house isn't ready yet. For one thing, I don't have lamps. The walls need more pictures. The living room needs a statement chair. The foyer needs a console table. The bedroom needs a slipper chair, side tables and new sheets. I need to buy flowers and fruits. And I'm thinking my bathroom needs new faucets. Vince's bathroom has these cute ceramic faucets. Mine, well I chose my bath fixtures to be simple and functional, not for any design merit. and with no decorations yet. The red, green, and gold balls don't match it. So I bought white lights and silver glittery balls! Then I have to take down the Christmas tree. 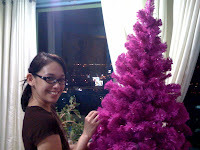 Have I told you about my fantabulous vivid pink tree? I don't think so. It was Vince's birthday gift to me so it's been up since November. I've wanted this tree for a looooong time but he kept saying, "Christmas trees are green. Maybe white once in a while but never pink." So I was just about screaming my head off when I opened the huge box on my birthday and saw the shocking pink peeking through the box! I have a husband generous enough to indulge my silliness. 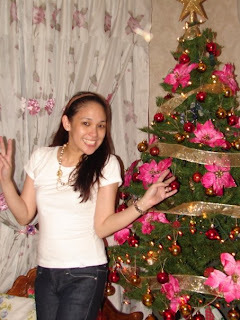 And each time I felt sad because this was our first holidays without Mama, I looked at my pink tree and remembered how Mama decorated her tree with strange pink poinsettia flowers and I got really happy, knowing she'd have approved of my pink tree. Mama always got teased for the big pink flowers on her tree. Now I'm the one getting all the strange looks with my tree! I'm so happy with it, I want to keep it up the entire year! I was thinking I'll put pale pink cherry blossoms for spring, big white daisies for summer, ripe fruits for fall, then the silver balls again for Christmas! But Real Living's editor took one look at it and said, "You have to take down that crazy tree." Boo! S-C! I know! Wouldn't my pink tree be awesome?? And then I'd tell the readers all about how it makes me happy, it's up the entire year! Wouldn't that be more interesting to know than where I bought my pillows, for example? Argh! Hi! I have chosen you to receive a Lemonade award (good attitude/gratitude)- Love your blog. Pls check my blog for further instructions. Enjoy! ... regarding being a Prayer Partner, I'd love to be one for you Fran. I have that book too. :-) Really wonderful. It has helped me a lot. Here's to praying in 2009 with you! OMG!! I love the pink tree! 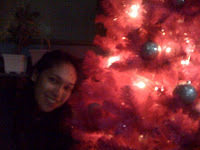 Our first Christmas tree was pink too! But papa gave it away when we transferred to another place. (my fault, I left it in their garage for too long, he thought I was throwing it away) I loved that pink tree, albeit midget. Let me know what issue it will come out ha. I'm getting a copy! I hope you are enjoying whatever is left of the holidays! God bless you and Vince! Mwah! Wow, how amazing about the feature! 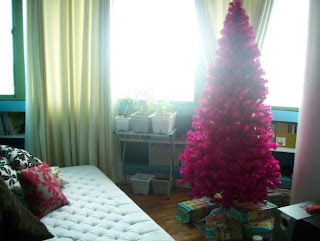 Your pink Christmas tree is so cute! Belowen, decorating is my husband's passion, which I share! We can spend entire weekends poring over picture frames, vases, rugs and other home stuff! Jennie, I have a pile of magazines here for you! Duni and DaisyC, ya, the feature is amazing! I saw the photos already and I can't believe I live in there!!! Will post pics here but Real Living said I can only do so after the issue comes out, and that will be 2-3 months from now. Annie, Mariel and Cris, thanks! That tree is ferosh! But it's in the box now. I heeded what the Real Living editor said. 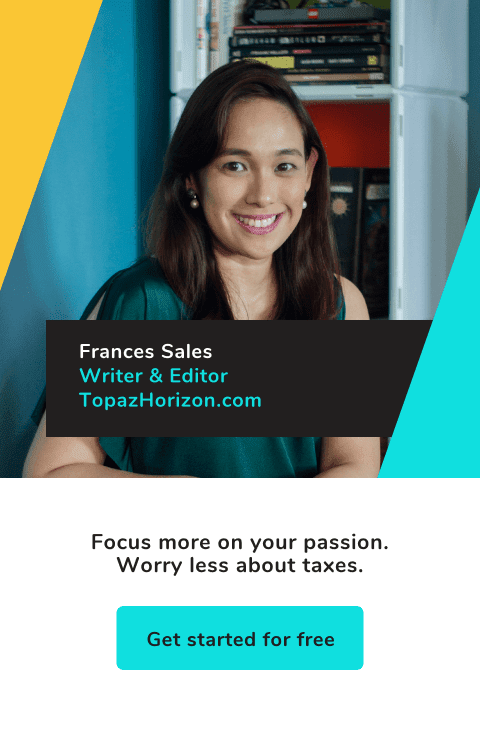 teka... ngayon ko lang nakita tong blog na to a?? the christmas tree.. pink!! whoho!! I have been looking online at some great accent chairs, I would try doing some searches for them. You can find some really good deals on them.